Ellumi Lighting says its new Recessed Retrofit light can kill the bacteria, mold, and fungi found on kitchen and bath surfaces. When turned on, the downlight uses LED technology to kill up to 99 percent of bacteria in eight hours. The company has identified specific wavelengths of visible light that can inhibit the reproduction and destroy cells of Strep, Staph/MRSA, E. Coli, Salmonella and more than 21 other bacteria known so far. It does not use UV light, meaning it is safe for both humans and pets, the company says. The recessed light can be switched between disinfecting mode and normal mode with any standard switch by turning the light off and on again quickly. It fits any 5- or 6-inch flood light housing and can be used in wet locations such as showers. 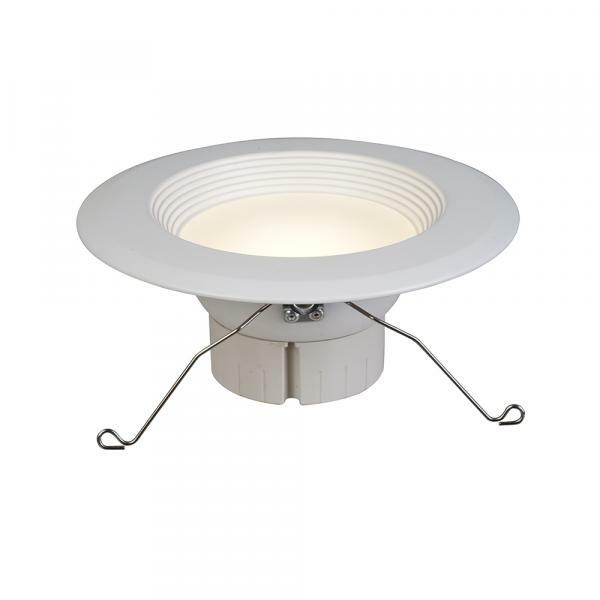 The LED fixture emits a white light with a color temperature of 4100K and a 90 CRI. Ellumi says the Recessed Retrofit is easy to install and lasts up to 50,000 hours. It’s the company’s second light offering, after its line of under cabinet disinfecting lights was released earlier this year.